The Ninja Ultima Blender mixes up the best of all worlds in my smoothie-making economy: high speed, bulk blending, and individual to go cups. Ninja sent me their Ultima Blender. All opinions are my own. I’ve owned a blender of some kind for more than twenty years. It was such a big deal when Bryan and I splurged and bought a classic Oster at Costco. It served us well for quite some time — to make bulk batch smoothies, coffee drinks, and blended cocktails. Eventually, the rubber gaskets dry out and break and then you have to replace them. Often. Unfortunately the classic machine just wasn’t in it for the long haul. Then I used a Magic Bullet for about ten years. How novel to have party cups! I could mix up different smoothies for each kid without having to wash the blender. Their smoothies were prepped IN the serving vessel! The versatility the Bullet offered couldn’t be beat. While I loved both these standard speed blenders, I realized that their time had passed. Maybe your blender is in need of replacing as well? It seems that the average household uses a blender more often than our predecessors. What once filled a need to create an occasional milk shake or margarita, the blender — at our house and maybe yours — is really having to work more hours per day in this age of daily smoothies. Not only do smoothies taste great, but they are also a perfect vehicle for including extra nutrition without forcing your kids — or yourself — to eat a plate full of spinach. This means we need a tool that can go the distance. When Ninja offered to send me The Ninja Ultima, I was more than ready to cross the threshold from standard to high speed. It can make bulk batches of drinks to serve a crowd. It comes with individual serving cups for variety and smaller servings. a high speed with a range of speeds from 3,700 to 24,000 RPM. No longer am I holding my breath, hoping that all the ice gets crushed or that there won’t be a frozen lump of banana or strawberry in the bottom of the cup. Farewell, brain-freeze-inducing clump of frozen fruit! Bonus points: the parts are all BPA-free plastic and can all go through the dishwasher making for easy cleanup. Watch for the blender blades, though. They are sharp; one of the kids cut himself washing it by hand. Avoid this by rinsing all the parts well right away — don’t let it sit! — and sending it through the dishwasher, if needed. I’m pretty thrilled with this machine. So are my teen smoothie makers. 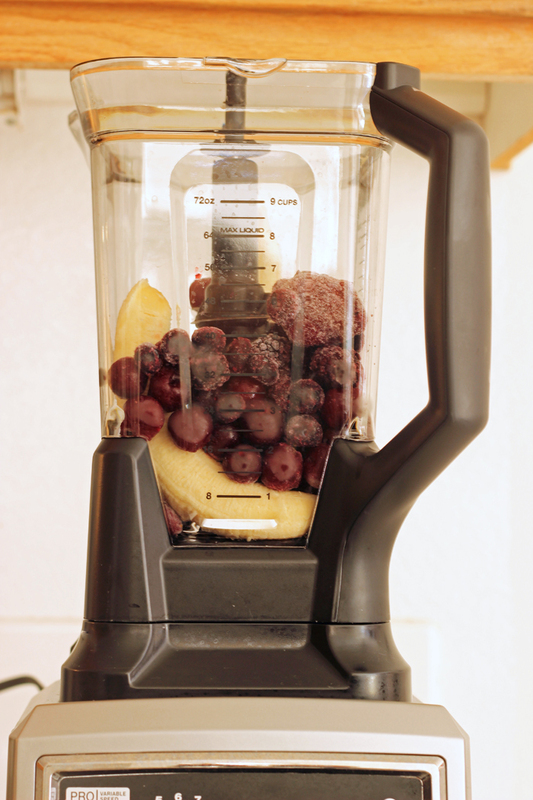 It’s our go-to blender. What do YOU like about your blender? I received a complimentary Ninja Ultima Blender. All opinions are my own. That is a great deal. WOW! I have the ninja master prep and it is my favorite! I didn’t even own a blender before, because I was not willing to settle for one that couldn’t do what I asked. I now have smoothies for breakfast instead of Coca-Cola (I know, right?). I’ve also made salsa, the smoothest hummus ever, and German pancakes (it’s eggs whipped with flour and milk, baked – tastes like French toast). This brand is amazing! Obviously a game changer if you were drinking pop for breakfast! lol! 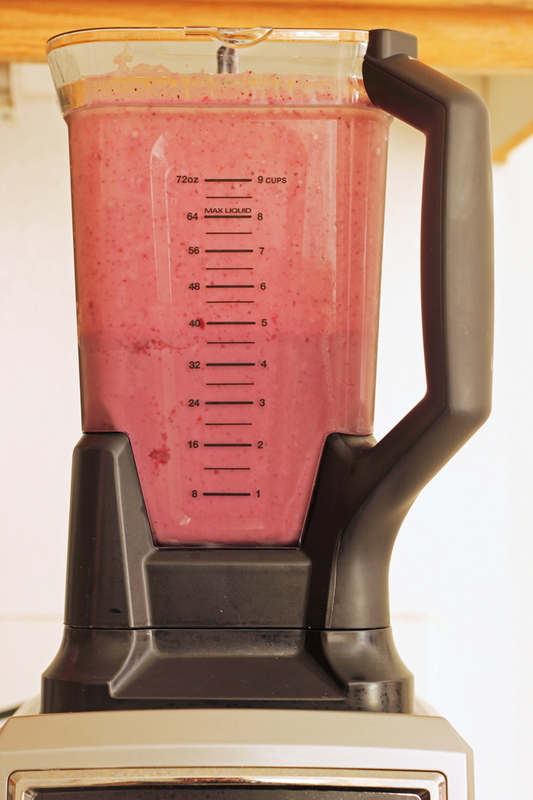 I have been functioning with a small blender (makes about 16oz) for a while now. I have put a Ninja blender on my wish list on Amazon but haven’t quite managed to transfer it to the shopping cart yet! I need to though because I drink smoothies a few times a week and would probably do so more often if I had a better blender! We finally bought a Blendtec from Costco a few months ago. I cannot believe the difference. We also make smoothies twice daily now, as well as the occasional adult beverage. Just cubed pineapple, a couple tablespoons of sugar, and shot of cocunut rum make an excellent pina colada, just sayin’. The thing I was impressed with was that the blades are NOT sharp, but they have no problem with blending the ice and frozen fruit. Oh, and PS – it has an eight-year warranty on the whole thing, motor and everything. I think that’s pretty amazing too. I have a Ninja too – got it for Christmas & I LOVE it! The best thing is that it blends tofu smoothly (I’m lactose free and tofu replaces a bunch of stuff). No more speckles in my pumpkin pie for instance. I’m curious how the Ninja would compare with a Vitamix blender. From what I understand, Vitamix is really the gold standard but you sure pay for it (though I’ve heard it’s worth it). 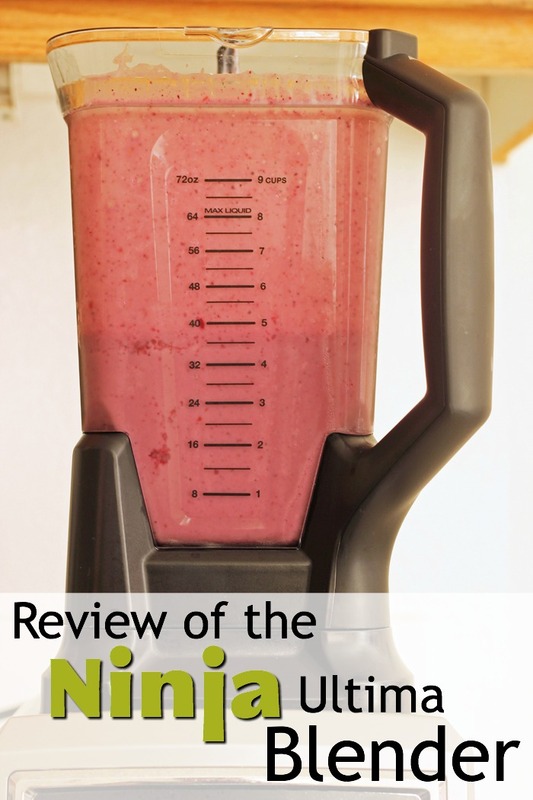 Have you – or any commenters – ever used the Vitamix? How does the Ninja perform on seeds and tougher things like kale – which a Vitamix just demolishes? I’ve had both. We bought the ninja after the vitamix died (after 13 years!) Because we just couldn’t afford the replacement vitamix. The ninja works alright for smoothies, milkshakes, adult beverages but I really do miss my vitamix. I made a lot of soups in it as well as an amazing lemon curd since it would actually go so fast that it could easily get foods very hot. I can’t get my ninja to do that at all. Hi, I was wondering if you had any difficulty getting food blended- pulverized into smoothies- because the blender is square and not circular. I read some reviews that said that food got stuck in the corners and didn’t mix thoroughly. We haven’t had that problem. We’ve had it a month or two. I have never used the Ninja, but I bought a Vita-Mix from Costco several years ago after seeing (and tasting) their demonstrations. It was pricey, but I use it daily. I like that these powerful blenders do such a great job with smoothies. Lower grade blenders simply cannot blend the ice well. 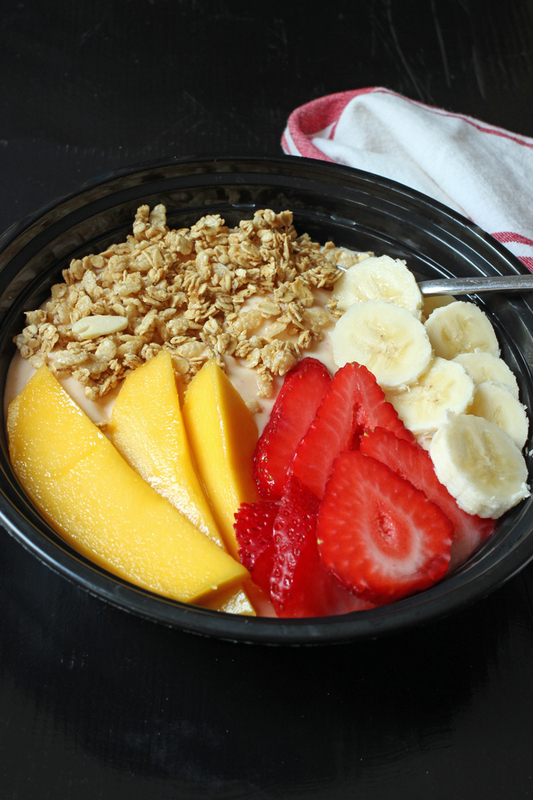 No one wants chunks of ice in their smoothies. Thanks for the info on the Ninja! Thanks for this review! I wanted a Ninja system before I started cranking out baby food again. I was a little concerned because a reviewer said it was a little loud, and that’s my chief complaint with my current food processor — I wear ear protection! Anyway, I held off easily because baby2 doesn’t like baby food at all, but I do miss my smoothies. I still have a blender, but it really needs to be replaced for something that will be more convenient to use…and that has a decent motor! Has anybody used the food processor for the Ninja system? I don’t know if I need it or if the blender does enough. Thanks! The Ninja is a little loud. My food processor is definitely quieter than this blender.